Make the mimosa of your dreams with a selection of fresh fruit garnishes and a selection of juices, including tangerine, peach, pineapple, guava, trusty OJ, & more! 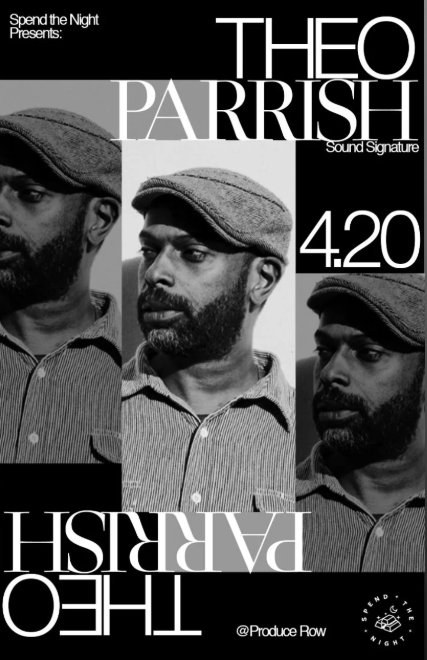 Get your tickets to see Theo Parrish, renowned DJ visiting us from the Detroit music scene, live at Produce Row on Saturday, 4/20. The show starts at 9pm, with tickets available for $25 online. 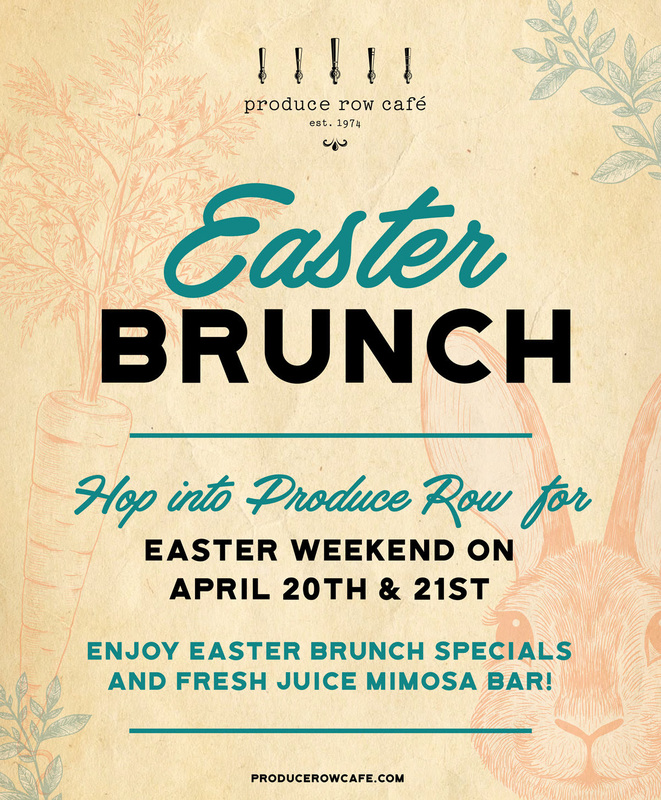 Don’t miss this exclusive show on our patio! Previous Post: « Easter Treats + Spring Sweets!